Sandeepany Sadhanalaya | Sandeepany Sadhanalaya runs an intensive residential Vedanta Course of two year duration. The students herein live the life of sadhaks as per the guidance of the Acharya in line with the ancient Gurukula System. 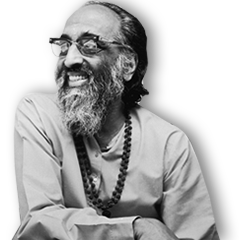 Swami Chinmayananda conceived the idea of a 'modern-day gurukula' to teach the philosophy of Advaita Vedanta to young men and women who would then take the knowledge back to their community. His vision was to build a group of full-time, well-educated trained preachers, without worldly ambitions or vested interests — brave and courageous — who were willing to leave personal ties and concerns behind, for a life of surrender to the Divine through service to mankind. All Vedanta Institutes in the Chinmaya Mission are called 'Sandeepany.' This was the name selected by Swami Chinmayananda, after the name of Lord Krishna’s Guru – Rishi Sandeepany. The word ‘Sandeepany’ itself stands for ‘That which illumines.’ Sandeepany Sadhanalaya Mumbai was the first residential academy of Advaita Vedanta that opened its doors to the initial batch of thirty students in 1963. Swami Chinmayananda’s direct disciples became Acharyas of forty-seven successive Vedanta Courses in seven Sandeepany Sadhanalayas, setting in motion a multiplier effect with 741 students graduating in fifty years. powai, Mumbai - 400 072, India.